Two massive projects-one special forest. Time to save it! 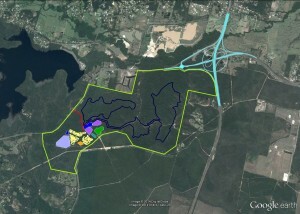 This composite map shows the combined impact on native vegetation with its high environmental and amenity values from the proposed 534ha off-road motorcycling facility within the Mooloolah Logging Area AND the upgrade of the Caloundra Road to Steve Irwin Way section interchange as stage 1 for the proposed future upgrade of the Bruce Highway. It's a massive and important area. If these two projects go ahead as currently proposed, they will irreversibly alter the character and biodiversity of the region forever. Please take a moment to sign this e-petition about the motorsports proposal. 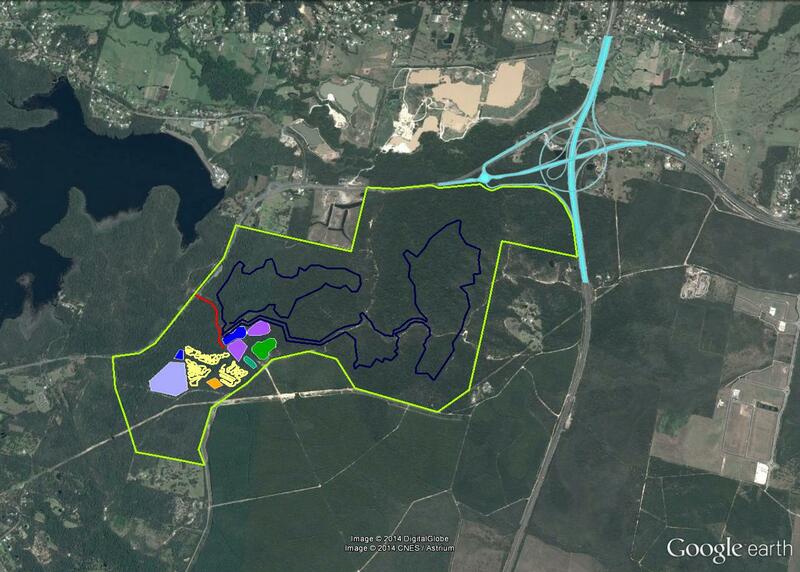 It's not that the idea of a well-managed motorsports facility is such a bad idea-it's just in the wrong place! There has been no community consultation regarding this proposal and the significant and intensive change in land use it represents. There has also been no environmental impact assessment undertaken as far as can be publicly determined. It's just being pushed through under the cover of commercial-in-confidence based on this pre-determined and inappropriate site.